Size of this preview: 793 × 599 pixels. Other resolutions: 794 × 600 pixels | 2,240 × 1,693 pixels. Nautilus shell cut in half. The chambers are clearly visible and arranged in a logarithmic spiral. 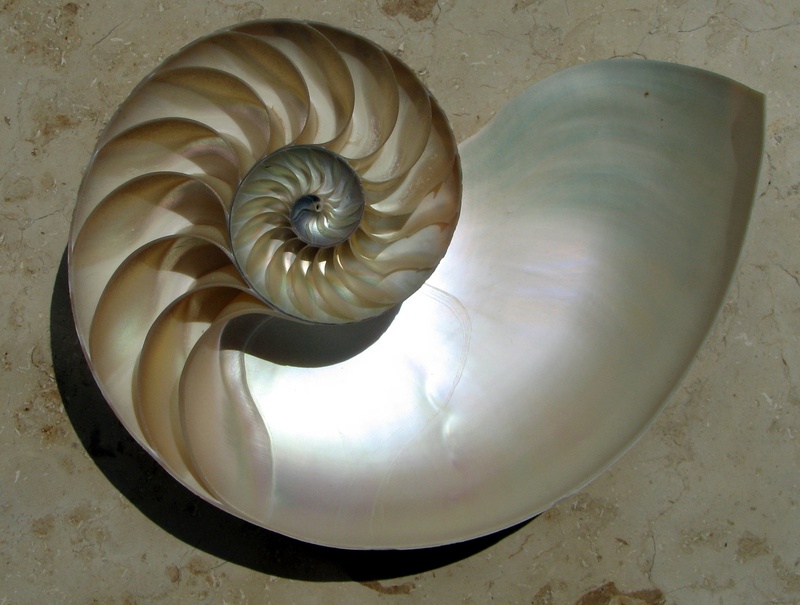 This Wikipedia and Wikimedia Commons image is from the user Chris 73 and is freely available at //commons.wikimedia.org/wiki/File:NautilusCutawayLogarithmicSpiral.jpg under the creative commons cc-by-sa 3.0 license. For the "AMTNYS 57th Annual Fall Conference" attribution of this image is required only for documents printed on paper (flyers, conference proceedings, programs, etc.) and in electronic form (DVD, CD, online, etc.). Attribution is required at least only once per print item or set of electronic documents ( e.g. on the back of the cover page of the proceedings, at the bottom of the flyer, once per CD, etc.). Additional attribution can be done where the conference organizers feel it suitable (e.g. individual web pages). Attribution is not required for promotional material related to the conference, where the license cannot be added in a suitable way (T-shirts, Buttons, etc.). This amendment does not have to be printed as part of the license.